Waves for Change (W4C) works with youth groups from communities affected by violence, poverty and conflict in South Africa and Liberia. 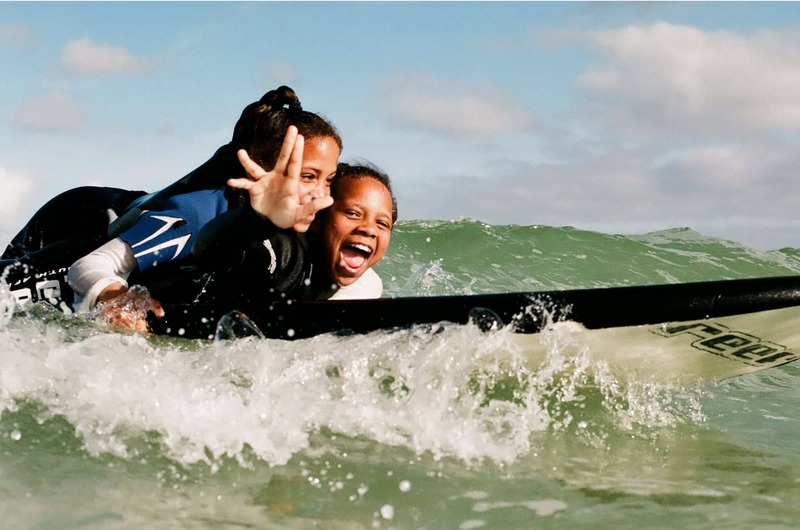 Through Surf Therapy young people who suffer emotional and psychological stress get social support from the foundation. The organization was founded by the brittish surfear Tim Conibear in Masiphumele Township/South Africa. Through the help of the community members Apish and Bongani and later also mental health professionals and development experts, the club expended into a successful programme which is running now in various locations in South Africa and Liberia. Waves for Change has a very sustainable approach where locals of affected communities are trained to participate in the programme as coaches for the young people. Their long term commitment is required, their safety records are checked, they are trained to work with youth groups with post-traumatic stress disorder and they get extensive water safety courses. Waves for Change takes up interns and volunteers depending on their current needs. Some times doing an university internship or research programme can be organized. If you have organizational and/or marketing skills you might organize events and fundraising, get responsible for media- & social network presence, support the local logistics (food, equipment, etc. ), or do administrative and office tasks. If you have any experience or skills in counselling, mentoring coaches, social work, first aid, lifesaving or similar certifications/education your help might also be appreciated. In your application you can also let them know about your interests in activities like beach football, netball, yoga, meditation or craft. 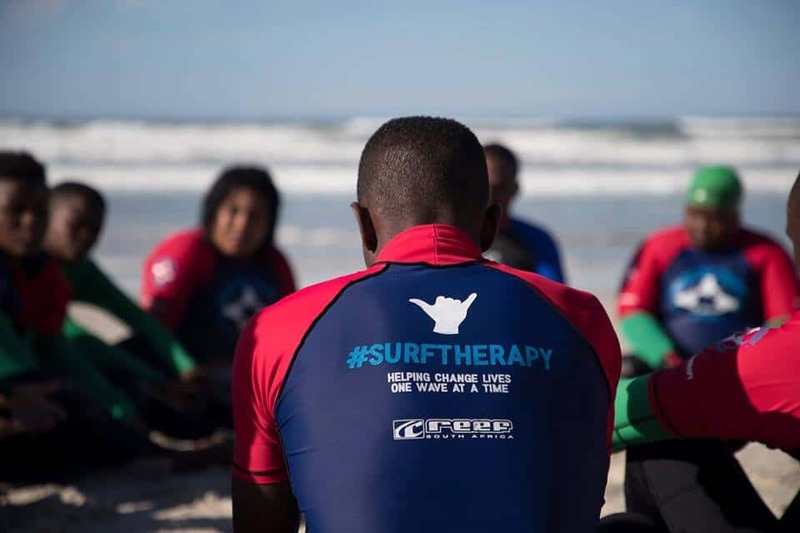 As stated before, the surf-& psychological coaches and interactors with the young people usually come from the community. However once a month community surfing for everyone will be opened. For applying as a volunteer/intern you have to fill in the online-form and wait for the organization`s response. Accommodation and all your personal needs (food, transportation etc.) have to be organized and paid by yourself. The organization can not promise to always take up volunteers/interns because they want you to have interesting work to benefit from and to be able to support you. We recommend you to check with them some time in advance. South Africa is famous for its epic waves. Professional Surfers as well as learners come here to surf the famous spots around Cape Town, Durban or Jeffrey’s Bay/ Port Elizabeth. From the W4C team you can get information where to go surfing, where you can get gear or surf classes, however you have to arrange and pay it by yourself. The best and most consistent season for surfing is winter (from April to September), where waves can get huge. This time of the year, the weather and air/water temperatures (around 14°C) can make it also less attractive for travelers. Don´t get too scared of the famous sharks, there are plenty of safety regulations and shark watchers around. The main office of Waves for Change is located in Cape Town, South Africa. But they are working in various sites in South Africa like in Masiphumelele, Monwabisi, Lavender Hill, Port Elizabeth and East London. 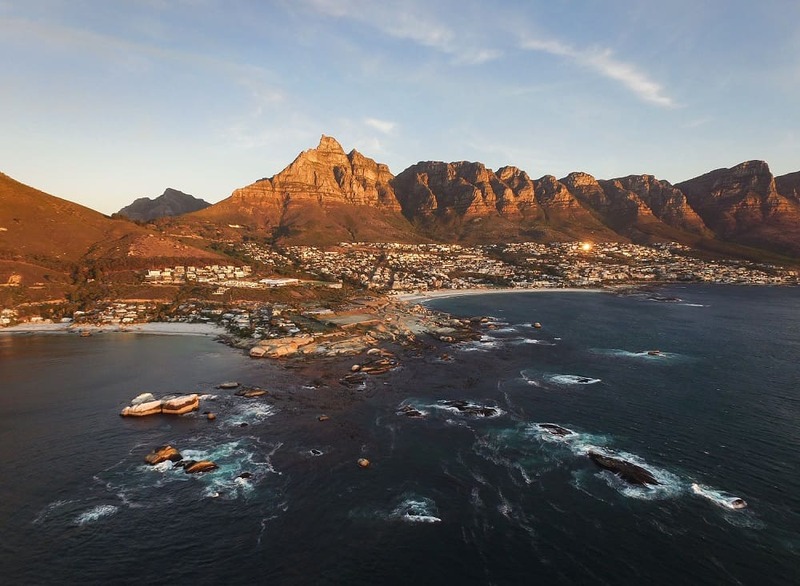 South Africa is a beautiful country with impressive landscape and lot to discover besides the beautiful beaches – from safari to hiking and climbing there are many adventures waiting for you to be explored. You can get around in South Africa either by bus (check for backbacker shuttles – hop on/hop off style) or, the more flexible way, by car (rental car). However to reduce your carbon footprint you might want to share your car with other travelers or friends/colleagues and consider different eco-friendly car types. W4C has a further team in Harper, Liberia, so if you are interested to volunteer or travel to this project please contact Waves for Change directly. As you might know, inequality is quite an issue in South Africa, on various levels. The historically driven problem of racism (and ethnical segregation) as well as the huge economical gap not only explains to some extent the still existing violence, but can also make the interaction between tourists/visitors and locals harder. So the better you know the context of your surrounding the more you will know how to act and feel comfortable. On the website of Waves for Change you will find more information about annual reports, latest news and videos. If you want to share something about this organisation with us, we will be happy to hear about that!